Campusvej 55, DK-5230, Odense M, Denmark. BACKGROUND: It is difficult to gain an overview of musculoskeletal extremity complaints in childhood although this is essential to develop evidence-based prevention and treatment strategies. The objectives of this systematic review were therefore to describe the prevalence and incidence of musculoskeletal extremity complaints in children and adolescents in both general and clinical populations in relation to age, anatomical site and mode of onset. METHODS: MEDLINE and EMBASE were electronically searched; risk of bias was assessed; and data extraction was individually performed by two authors. RESULTS: In total, 19 general population studies and three clinical population studies were included with children aged 0–19 years. For most of the analyses, a division between younger children aged 0–12 years, and older children aged 10–19 years was used. Lower extremity complaints were more common than upper extremity complaints regardless of age and type of population, with the most frequent pain site changing from ankle/foot in the youngest to knee in the oldest. There were about twice as many non-traumatic as traumatic complaints in the lower extremities, whereas the opposite relationship was found for the upper extremities in the general population studies. There were relatively more lower extremity complaints in the general population studies than in the clinical population studies. The review showed no pattern of differences in reporting between studies of high and low risk of bias. Markveien 25, 0554 Oslo, Norway. Bournemouth, Dorset BH5 2DF UK. Campusvej 55, Odense M, DK-5230 Denmark. BACKGROUND: The idea of chiropractors treating children is controversial, yet many parents seek chiropractic care for their children. The reasons for this are not well documented. Part one of this study aimed to document the profile of all paediatric patients consulting Norwegian chiropractors in 2013 using National Health Insurance data (NHI) with regards to age, gender and primary complaints. Part two aimed to provide a more detailed description of these patients in the form of a descriptive, paper-based survey. METHODS: Part one involved Norwegian NHI data from 2013. Part two consisted of a year-long, paper-based survey. Chiropractors registered with the Norwegian chiropractic association (NKF) were invited to participate via email. Participating chiropractors were assigned one random month to collect data. All paediatric patients (or their parents) during that were asked to complete questionnaires containing information on presenting complaint, consequences of this complaint, age, and mode of referral. RESULTS: In general, there was good concordance between part one and two of the study in terms of age, gender and presenting complaint. The youngest children constituted the largest paediatric group in Norwegian chiropractic practice. Musculoskeletal problems were the most common reason for children visiting a chiropractor in all of the age categories, according to NHI data. Part two of the study found that one-third of young school children and adolescents reported pain lasting longer than 1-year. Eleven percent of children found that their complaint had severely affected their mood and 22 % felt their activities were very limited by their condition. Referrals from healthcare professionals were uncommon. The survey’s results were based on 161 completed questionnaires, received from 15 % of the Norwegian chiropractors. OBJECTIVE: The purpose of this study was to identify differences in outcomes, patient satisfaction, and related health care costs in spinal, hip, and shoulder pain patients who initiated care with medical doctors (MDs) vs those who initiated care with doctors of chiropractic (DCs) in Switzerland. METHODS: A retrospective double cohort design was used. A self-administered questionnaire was completed by first-contact care spinal, hip, and shoulder pain patients who, 4 months previously, contacted a Swiss telemedicine provider regarding advice about their complaint. Related health care costs were determined in a subsample of patients by reviewing the claims database of a Swiss insurance provider. RESULTS: The study sample included 403 patients who had seen MDs and 316 patients who had seen DCs as initial health care providers for their complaint. 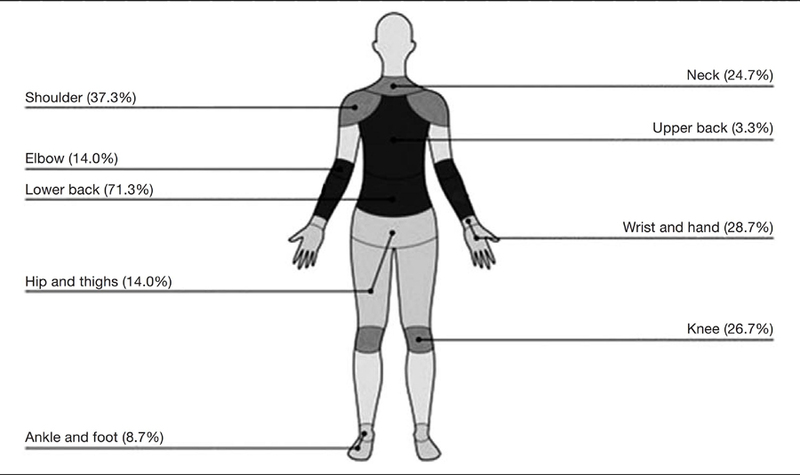 Differences in patient sociodemographic characteristics were found in terms of age, pain location, and mode of onset. Patients initially consulting MDs had significantly less reduction in their numerical pain rating score (difference of 0.32) and were significantly less likely to be satisfied with the care received (odds ratio = 1.79) and the outcome of care (odds ratio = 1.52). No significant differences were found for Patient’s Global Impression of Change ratings. Mean costs per patient over 4 months were significantly lower in patients initially consulting DCs (difference of CHF 368; US $368).